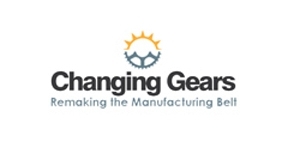 Changing Gears: Remaking the Manufacturing Belt is a multi-year project that will look at the future of the industrial Midwest, with a two fold mission: journalism and public engagement. Changing Gears is a product of the Upper Midwest Local Journalism Center, created through a grant from the Corporation for Public Broadcasting. Its host stations are Michigan Radio in Ann Arbor, Chicago Public Radio and ideastream in Cleveland, the parent of WVIZ-TV and 90.3 WCPN. The Changing Gears team, headed by Senior Editor Micheline Maynard, includes three reporters - Niala Boodhoo in Chicago, Kate Davidson in Ann Arbor and Dan Bobkoff in Cleveland. Each week, Changing Gears offers feature reports aired on our stations, and the project also will include documentaries and regional call-in programs. Changing Gears' coverage focuses on five main themes: jobs and job creation, community redevelopment, education, the environment and agriculture, and cultural issues, from the arts to food and ethnic diversity. The series "Our Towns" looks at communities across the region. Bobkoff is reporting from Sandusky, Ohio; Boodhoo from Kenosha, Wis. and Davidson from Kalamazoo, Mich. Along with that, Davidson is anchoring a series of special reports called Still Working, looking at older citizens who remain on the job. Changing Gears has an active presence on the Web via social media, such as Twitter and Facebook, and a regular podcast available on iTunes. Along with its on-air and Web work, Changing Gears sponsors community events. In all its coverage, Changing Gears will tell the stories of individuals, families businesses, and innovators - their struggles and solutions, their efforts to reinvent themselves, and their capacity to cope with difficult times.